Do you have fond memories of the astronomy course you took in college? Would you like to go back to school just one more time? 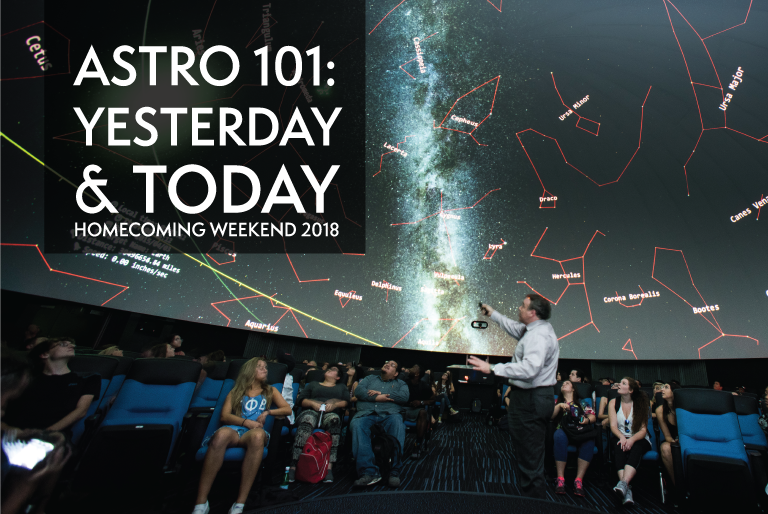 Experience first-hand how we teach introductory astronomy to today’s students using the digital full-dome planetarium projector. The topic of the lecture will be “Space is Wildcat Country.” We will also discuss the nature of black holes and how to find so-called “extrasolar” planets. For more information, contact rmankel@email.arizona.edu or 520-621-4516.